“Do not fret, my dear. Mother is resourceful. Mayhap she enticed Lucy to help her for a spell.” Nathaniel looked up from the small piece of wood he was carving into a whistle. “But Lucy has her own family now,” Constance said. “I’m sure mother is managing just fine. She always hires more girls to help at the Red Griffin in the autumn. Harvest is past, and they have likely already helped her put up food for the winter. By now they are busy giving the house a good scrubbing. Thanksgiving will be upon them soon and Mother always welcomes extra guests at the inn.” Nathaniel reached for hand and cast an assuring gaze over her pensive face. “I simply did not wish for you to think that I wished you ill on your trip. It was that you had to depart so soon after our marriage. Your mother proffered good advice, she being a young bride once whose merchant husband frequently set sail. I don’t know how she could bear it, especially with four sons underfoot. You and Jonathan at the helm.” A tiny grin spilled onto her face. “I assure you, that this is a rare occasion, but the terms of the agreement Uncle Phineas made for us to obtain such good lumber from the Shenandoah Valley proved to advantageous to turn down. This will mean a great deal and save us much expense for our ship carving shop. And Jonathan was pleased at the opportunity for trade. ” Nathaniel inspected his small carving before his eyes drifted to hers. “And the continued comfort for the newly married couple, I might add. My back might never recover. I do not know how my crew endures sleeping in such small compartments.” Jonathan’s face contorted as he rubbed his back with exaggerated flair. “We shall forever be in your debt, sir.” Constance looked up the trail, beyond the Shenandoah River. Although they were no longer aboard the Rivier Handelaar. She was glad to be in the company of two such stalwart men while so far from home. What pleasure it gave her to think of Glassenbury, Connecticut as her home now when several months before she had been spirited away from all she knew and loved in England. “All is well now, my love,” Nathaniel said, yet his hand tightened around the stock of his musket. “We shall know in a moment’s time. The Colonel will return presently along with the minister he is escorting to Fort Providence. Word has it that the reverend’s services were required for a burial. A freshet of tears filled Constance’s eyes, threatening to spill like the Connecticut river during a spring flood. She did not want Nathaniel to see her like this. She had promised herself she would not be a burden to him–she, his uninvited guest. There was nowhere to retreat from his presence, save the wagon. Constance turned and made her way across the Old Wagon Road to the trees sheltering their covered conveyance, Nathaniel calling out to her as she fled. In a flash she reached her refuge and glanced back at Nathaniel. What was she running from? He was her safe harbor. She leaned against a towering oak, the rough bark pressing into her shoulder blades. She stepped away, closing her eyes as she pulled in a deep breath. As she opened her eyes she caught the shadow of an arm reaching around from behind her. A rough, firm hand clamped around her gaping mouth. Another arm grabbed her around her waist and pulled her back against her attacker. She caught the glimpse of a tawny arm, striped in dark paint. Oh Lord, no! An Indian. Her eyes shot up in search of Nathaniel and Jonathan. The pair had their rifles pointed straight in her direction. Though she trembled in her captor’s grip, she thrashed about pursuing her escape. The savage clutched her tighter, his odor permeating her nostrils. “Tell him to release my wife–at once!” Nathaniel demanded. “If he is no foe, why has he taken her?” Jonathan snapped. “Perhaps so you would not kill him on sight.” Colonel Christy got down from his horse and went toward them. “It is alright, Mrs. Ingersoll. He is a praying Indian, and our ally.” Reverend Saks calmly walked toward her, hand extended. Her eyes fixed on Nathaniel, who remained alert, his musket braced against his shoulder. He nodded, his stormy eyes beckoning her. She took one step, and then another, with legs that she could no longer feel. “Come, dear,” the minister said as her came near. She hastened her pace, yet the weight of her body pulled her to the ground and shrouded her in darkness. Constance could hardly believe that they were at last safe inside Fort Providence. What a harrowing ordeal it had been the day prior when Dark Horse had come to warn Colonel Christy and Reverend Saks that Shawnee hostilities were increasing. The dead couple that had been found along the way, proof indeed. Word had it that the couple had abandoned their wagon fleeing for their lives. Before they left, the men investigated the wagon and discovered their little son hiding under some blankets, frozen with fear. Though Constance had contended with fear herself in her first encounter with an Indian, Dark Horse had been a Godsend hastening them to the fort before the Shawnee reached them. He remained with them until they arrived, and was welcomed inside to sup with the Reverend and Colonel Christy. Nathaniel hooked Constance’s elbow around his and ushered her by the light of dusk toward the main building where they would make their temporary dwelling. Jonathan would sleep in the wagon. And the little boy they had discovered was fast asleep. Constance's heart broke for the boy who had lost both his parents in the Indian attack. What would become of the lad? Nathaniel patted her hand, seemingly aware of her thoughts. As they turned the corner, Constance gasped. Dark Horse. He nodded and stepped aside. “Thank you. . .for bringing us to safety,” her husband said. “I am sorry to cause your wife fear.” Dark Horse’s coal black eyes were upon her. Constance’s heart thumped beneath her stays. But what was there to be afraid of now? She was safe in her husband’s arms and the fort was full of armed men. Dark Horse had proved to be a staunch ally and she had learned that he had aided the forted colonials on several occasions. She nodded at this unlikely hero and managed a weak smile. “Stay.” Constance could not believe the word the spilt from her lips. Dark Horse grinned and looked at Nathaniel. The following morn, the fort was a bustle with preparations for the great feast. Constance, Nathaniel, and Jonathan were introduced to several of the families. They met Rousches with their many children, and niece, Sarah; the colonel's son William, who was sweet on the girl; the Camerons; and the Zerkles, whose foolhardy patriarch recently lost his life to the Indians, and son Nicholas who barely escaped with his life and hobbled around the fort on makeshift crutches. The aromas of corn spoon bread, sweet potatoes, pheasant on the spit, and all manner of pies and other dishes filled the community kitchen of the great house; the deer and pig being roasted in the yard. Young girls snapped peas, and chopped squashes, and rolled out biscuits. Constance helped prepare a Marlborough Pudding, an Ingersoll Thanksgiving favorite dish, to bake in the large hearth. That vails and darkens thy designs. But saints are they peculiar care. Fly to the shadows of thy wings. The glories promis’d in thy word. 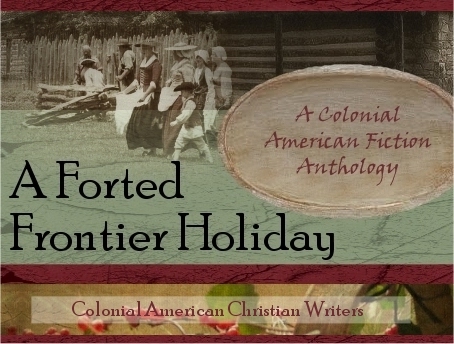 Look for Part 4 of A Forted Frontier Holiday on Nov. 26th. Carla Olson Gade grew up in an historic Massachusetts town not far from Plymouth, Massachusetts, home of her Pilgrim ancestors. She now lives in rural Maine with her husband and two young adult sons. 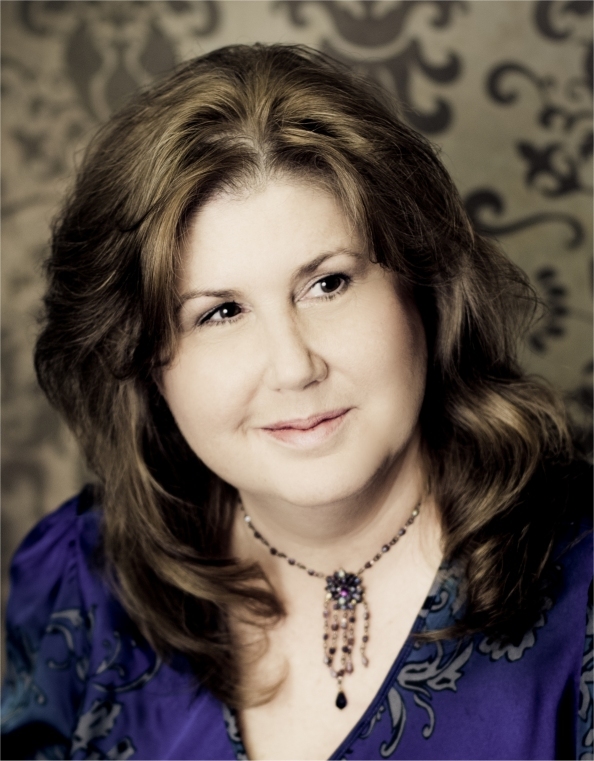 She is the author of The Shadow Catcher's Daughter and “Carving a Future” in the Colonial Courtships novella collection. 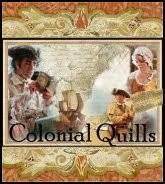 Her colonial novel, Pattern for Romance (Quilts of Love series), and her novella in Mistletoe Memories release in 2013. You may connect with her at carlagade.com. This Forted Frontier Holiday installment, "Landlocked", was based on characters from my novella, "Carving a Future", featured in Colonial Courtships (Barbour/2012). Carla, glad to see Constance and Nathaniel made it safely to Fort Providence (some excitement along the way, though!) I wonder if Susan Craft is ready for the wedding? CARLA!!! What a beautiful prelude to Thanksgiving, my friend, and so beautifully written! HAPPY THANKSGIVING TO SOME OF MY FAVORITE PEOPLE IN THE WORLD!! Wonderful, Carla! I agree with Julie - a beautiful prelude to Thanksgiving:) Hope everyone here has a very blessed holiday! Carla, your installment was fantastic! I am so loving this story, being able to get a bit of adventure reading in each week, without being overwhelmed. My heart stopped when the Indian grabbed her and when they found that child! Man oh man, what a rush! It always amazes me how authors can produce a work together in this way. You ladies are doing a great job! Have a wonderful Thanksgiving, ladies and God bless! Carla, very entertaining and I enjoyed the glimpse into your novella! Love how you reminded us all of the spirit of Thanksgiving. Your installment was timed so perfectly for this week. Well done! This is great and I love it. thank you so much!! Wow! For a minute there, he was a "Dark Horse"--I loved the way you turned it around! Exciting and beautiful timing for Thanksgiving. Thanks, Carla; blessings and gratitude for all you ladies during this holiday season. This is so exciting! Thank you. Oh this is lovely, Carla! I only regret that my couple will miss the wedding! LOL! This chapter is a perfect seque to Thanksgiving and I pray the Lord's blessings on this precious holiday for each and everyone at CQ! Carla, bravo! I loved this installment and the hymn at the end. Very nicely done! It heightens my anticipation for family to gather at my own table to give thanks. Wishing a blessed and happy Thanksgiving to all. I'm so glad that you have enjoyed this part of the story. I hope you all enjoy abundant blessings this Thanksgiving week! Carla, exciting story. I liked the way you tied everything together and the way you handled the French accent. Nice job. And thank you for including the hymn. just found this blog and the story line. So far I am really enjoying the story and can't wait for next weeks installment. Thanks for sharing. I hope you left comments on the other two, COLLEEN, because we have drawings for all of them! Come by for the TEA PARTY this FRIDAY!!! So glad you are enjoying! This was such a fantastic idea of Carries! 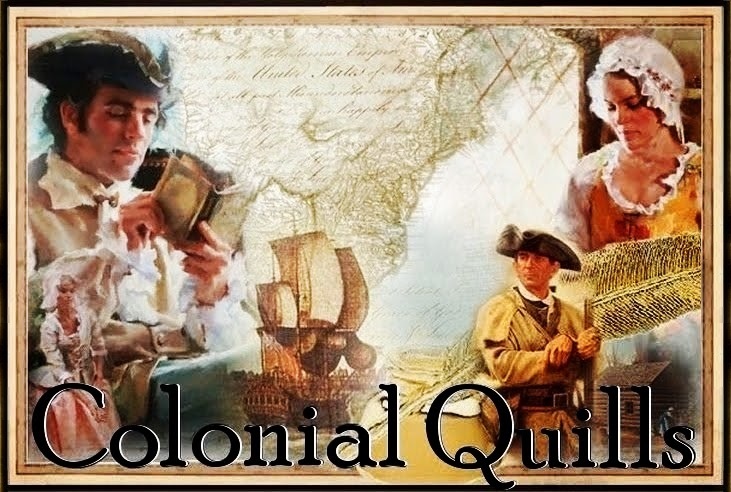 It was so much fun writing this story, a little sequel adventure of my characters from Colonial Courtships. I'm truly looking forward to seeing what happens next. Next up, Elaine Cooper! It is like a gift to all of us CQers, too, CARLA, and I enjoy seeing all the characters here!!! Really enjoying this series. Thank you. YAY, PAULA, make sure you comment on each one so you can be entered for each book, too! COME to the TEA PARTY on FRIDAY!!! What a lovely installment, Carla. All the contributions are fitting together so nicely! Such gracious comments. It is good to see you all here. Please do come back next Monday for the next part in A Forted Frontier Holiday. Enjoy your week of Thanksgiving!